Will RideLink send someone to pick me up? No, we do not provide transportation. RideLink “links” you with transportation providers who best meet your individual needs according to desired service, location, and ability to pay. When you call our toll-free number, you will receive a list of transportation options for medical and non-medical appointments in Champaign, Darke, Logan, Miami, Preble, and Shelby Counties. Some providers can also transport to Cleveland, Columbus, Dayton, and even locations in Indiana. You will be asked several questions in order to link you with providers that best meet your needs. In most cases, after we give you the information, you are responsible for calling the provider to schedule your own trip. 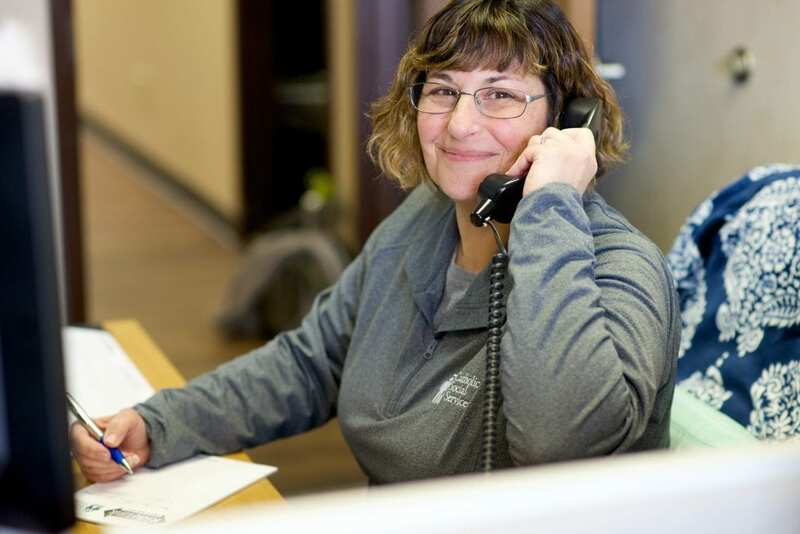 We can assist you in making that call if you have limited resources or an inability to connect with the transportation provider. What will it cost me to use RideLink? There is no cost for the call or the information we provide. There may be a fee for transportation services depending on the provider you choose. Do you have "preferred" providers that you recommend? Our goal is to give you as many options as possible. When you call RideLink, you will be asked several questions in order to link you with providers that best meet your needs. We do not recommend one provider over another. It is still your choice of what provider to contact once you have the information. What are you doing to make more options available? While RideLink has indeed helped individuals find rides, it has also become clear that there just aren’t enough resources for many of the callers. “The Federal Transit Administration requires agencies getting funds to have transportation plans,” says CSSMV Mobility Manger Michelle Caserta. With that goal in mind, Caserta is now also serving as the Mobility Manager for Shelby, Darke and Champaign Counties, working with community stakeholders to update transportation plans. She is also working with the Miami Valley Regional Planning Commission (MVRPC) to address the challenges of transportation for the elderly and disabled across a nine-county region. A new four-year plan for Shelby County was approved by ODOT in November 2017. One goal of the new plan is for the local transit company to expand services to include evening hours, weekends, and holidays by 2020. Other goals include working with employers to identify and find solutions to transportation obstacles for workers, and developing feeder routes to and from surrounding counties. What if I feel I’ve been discriminated against by RideLink? Any person who believes she or he has been discriminated against on the basis of race, color, or national origin by Catholic Social Services of the Miami Valley may file a Title VI complaint by completing and submitting the agency’s Title VI Complaint Form. The Agency investigates complaints received no more than 180 days after the alleged incident. CLICK HERE for the complaint procedure and form. People in metropolitan areas often have a variety of transportation options available to them, but in rural areas, this is not the case. For the older or disabled population, who may not be able to drive or even have access to a car, getting around can be a challenge. Simple errands that others take for granted, like traveling to an appointment, can be difficult or near impossible. 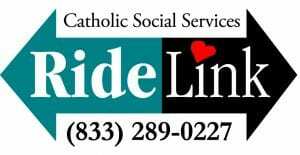 In 2016, Catholic Social Services launched RideLink, a call center designed to link adults in Champaign, Darke, Logan, Miami, Preble and Shelby Counties with transportation options that meet their needs and their ability to pay. Made possible by a grant from the Ohio Department of Transportation (ODOT), RideLink has uncovered gaping holes in the transportation scenario and provided CSSMV with opportunities to help improve the system. “RideLink has been a vital tool in gathering data about the transportation situation and the lack of affordable and available options. With data, we can work to effect change,” says CSSMV Mobility Manager Michelle Caserta. Are you in need of transportation to a doctor’s appointment but don’t know who to call? Are you running low on groceries but you don’t have reliable transportation? Is your prescription ready to be picked up at the pharmacy, but you have no way to get there? Your link to safe, reliable and affordable transportation begins with RideLink. When you call RideLink at (833) 289-0227, our staff will link you to the transportation provider that best meets your needs. The RideLink call center is open Monday through Friday from 8:30 a.m. to 4:30 p.m. (excluding major holidays). Callers are encouraged to plan ahead, as 24-hour notice is required for most transportation providers. The RideLink program has been made possible by an Ohio Coordination Grant from the Ohio Department of Transportation, and serves Champaign, Darke, Logan, Miami, Preble and Shelby Counties. RideLink is available to any adult living in our geographic service area. There are no other restrictions. The RideLink call center serves residents of Champaign, Darke, Logan, Miami, Preble and Shelby Counties. The RideLink call center is open Monday through Friday from 8:30 a.m. to 4:30 p.m. Call (833) 289-0227.